During India's first nine months on the Security Council, it has worked with the U.S. on broad themes but often differed on country-specific issues. Council membership has a price: many votes inevitably disappoint some of India's constituencies and international friends. When U.S. President Barack Obama announced in Delhi that the United States looked forward to “a reformed U.N. Security Council that includes India as a permanent member,” he was met with thunderous applause. This was the most tangible form of U.S. support for India's ambition to be recognised as a major global player. From the U.S. perspective, it was an act of faith. The U.S. and India have always had a harder time working together in the multilateral arena than they do bilaterally, and the United Nations has been especially tough. How do things look nine months after India joined the Security Council for a two-year term? Finding ways to work together has been a challenge for both countries. India has also had to deal with the costs of being in the limelight — the public choices that come with Council membership, and that inevitably disappoint some constituencies and some international friends. India and the U.S. have worked most closely together on what one Indian observer called “thematic issues.” Peacekeeping has been an area of strong India-U.S. cooperation for years. This reflects not just India's standing as one of the top three troop contributing countries, but also its strong professional contributions to the U.N.'s peacekeeping capacity. These have earned strong U.S. support and appreciation. Similarly, control of small arms has been a good area for cooperation. India's time on the Security Council has expanded the list of broad policy themes where the U.S. and India make common cause. Counter-terrorism is an especially important one. The Indian permanent representative to the U.N., Hardeep Singh Puri, sought the chairmanship of the Security Council's Counter Terrorism Committee, and went about guiding its work in a serious way. This included deepening its links to the expert panel that works with it, the Counter Terrorism Executive Directorate. On September 28, Mr. Puri orchestrated a celebration of the committee's work in the 10 years since its creation, an event that provided the opportunity both for garnering civil society support for the group and for good coverage in the Indian press. U.S. policy-makers support this effort, appreciate the results, and look forward to further collaboration in this area. The more contentious broad themes have to do with trade. These come up more often in the World Trade Organisation (WTO) than at the U.N. The U.S. and India have a strained relationship in the WTO, in spite of extensive efforts at high-level consultations. When it comes to country-specific issues, however, U.S.-India interaction at the U.N. is more difficult. The Security Council's agenda always contains a large number of debates and resolutions on the Middle East, where the U.S. and India start from different policy positions. The large majority of resolutions passed this year were adopted unanimously. This included some uncontroversial measures on Libya, Afghanistan, and extension of an expert committee established in conjunction with the Security Council's decision on sanctions for Iran. Of those where voting was contested, however, the U.S. and India were on opposite sides most of the time. On Libya, India abstained on a March 17 resolution establishing a no-fly zone, together with Brazil, Russia, China and Germany. The resolution was strongly supported by the U.S., and passed with the remaining 10 votes. Somewhat to India's discomfiture, Syria came up during India's term as Security Council president in August. India was clearly pleased that the conclusion of the council's debate took the form of a council president's statement rather than a formal resolution. This obviated the need for a formal vote for or against. However, India found itself directly at odds with the U.S. in the October 4 vote defeating a Syria resolution that had been under discussion for some three months. India abstained, along with Lebanon, Brazil and South Africa. Russia and China vetoed. The council's other Muslim-majority country, Bosnia, voted yes, together with the U.S. and seven other members. The most contentious of the country issues before the council this year is Palestine. India co-sponsored a resolution on Israeli settlements, eventually vetoed by the U.S. This type of “split vote” has become routine — the other 13 Security Council members also voted for it. Much more troublesome for the U.S. was India's pledge to vote in favour of U.N. membership for Palestine. The application was eventually referred to the Security Council committee that reviews membership applications, amid speculation that the Palestinian Authority had tacitly agreed to slow the process down. But of all the hot-button issues for the U.S., this was the most difficult. Washington had announced that it would if necessary use its veto to block a Palestinian membership application outside of the framework of the stalled peace negotiations with Israel. However, the U.S. was urgently seeking a way to sidestep the issue and avoid the damage to its relations in the Muslim world that would follow a veto. India's early public stance, along with the other potential “yes” votes for full Palestinian membership, thus put Washington in a potentially painful and embarrassing situation. Country issues before the Security Council generate far more political passion than broad policy themes. This has two consequences. For the U.S., negative consequences of India-U.S. differences are felt further up the political ladder, and with greater intensity, than the positive vibrations from Indo-U.S. cooperation on such broad issues as peacekeeping and counter-terrorism. India's position on the Palestinians, on Syria, or on Libya was in keeping with many years of Indian policy toward the Middle East, and was clearly not intended as a rebuff to the U.S. 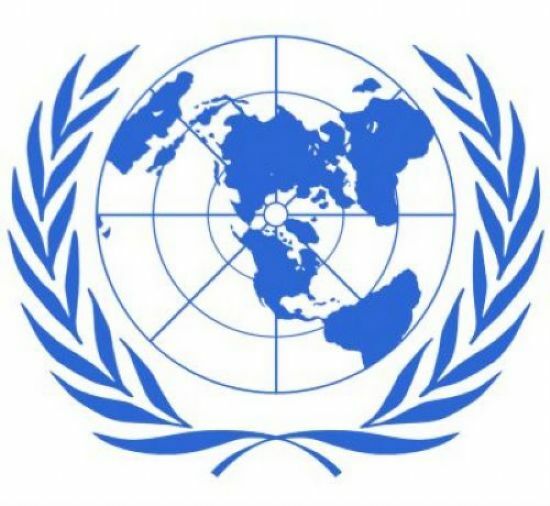 But from Washington's perspective, the fact that India and the United States so rarely line up together on the U.N.'s “hot button” issues is troublesome. From Delhi's perspective, the country-specific issues confront India's policymakers with the costs of being in the multilateral limelight. Security Council members cast votes in a highly visible forum, on very specific issues, with the full glare of international publicity. Often, these votes force India to choose, not whether to accept international criticism for its position, but which of its friends to anger. In the first third of its Security Council tenure, India has generally sided with the U.S. on issues that are important but not passionate; it has taken the other side on issues that generate greater political heat. Interestingly, while there is strong consensus in India that the country deserves a permanent Security Council seat, one occasionally hears ambivalence about how useful the seat would be and how much policy priority it deserves. Former government officials occasionally muse that “club membership” carries more costs than benefits. Neither the Manmohan Singh government nor any successor, however, is likely to back away from this campaign. Assessing the benefits to India of Security Council membership is a complicated exercise. Achieving recognition as a global player is an important policy goal in its own right. But when one looks for the vision of global governance that India seeks to advance, the picture is clouded. Policy documents and analyses from Indian academics speak in familiar terms of defending sovereign states against interventionism and of creating a world order in which poor countries are as able as rich ones to make their voices heard. But the role that many Indians are most comfortable with draws heavily on the concept of “sovereign autonomy” — balancing powers that seem too strong, and relishing a solo role where possible. This is hard to do in the multilateral arena, where successful diplomacy relies on giving others credit and on the constant building and rebuilding of coalitions. India's diplomats are among the world's best at navigating U.N. procedures, and are masters of the drafting process. Nonetheless, apart from its skillful stewardship of the Counter Terrorism Committee, it is not clear that India has been a major broker of contested issues in the Security Council itself. The August statement on Syria, for example, seems to have been largely orchestrated by Brazil and France. 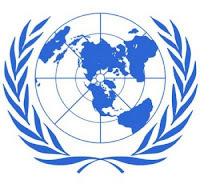 India has decades of practice in building support in the Non-Aligned Movement, an important constituency for it at the U.N. (Interestingly, there is a special tab on the website of India's U.N. mission devoted to the NAM.) 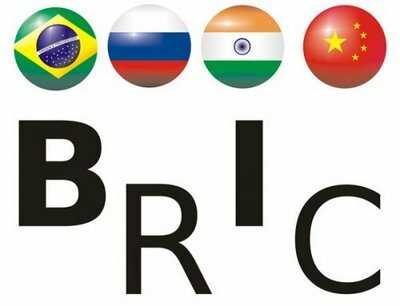 It has come to rely more heavily on more selective groups, notably BRICS (with Brazil, Russia, China and South Africa). All these countries are on the Security Council in 2011. It is perhaps significant that BRICS accounted for all but one of the abstentions on the Libya and Syria resolutions. Working in coalition with the U.S. is a more unfamiliar pursuit. India's goal of a larger global role would be well served by adding this to its repertoire. The U.N. is of course not the only multilateral forum where the U.S. and India work together. Their relations have been more harmonious in the G-20 and the multilateral development banks — and more difficult, as noted, in the WTO. It would be naïve to expect these two large countries, whose interests are closer than before but still have important differences, to line up in lock-step in any multilateral organisation. But their ability to manage their differences and find mutual accommodation on a reasonable share of country-specific issues as well as big foreign policy themes will be an important test of how well their partnership can work outside the strictly bilateral realm. How to restore the government's credibility ?